What will NASA look like under the Trump administration? It’s a new year, and there’s a new administration installed in Washington. And while there have been concerns about the state of science under a Trump administration, there are reasons enough to be hopeful that some scientific governmental organizations, NASA among them, may fare rather better in the business-friendly climate the new president has promised to usher in. There’s precious little to go on in that spare sentence, but the reference to the “mysteries of space” suggests that NASA may eventually come into the new administration’s reformatory crosshairs — after all, an “America First” policy worthy of the name could hardly afford to ignore NASA, the crowning triumph of American endeavor in the 20th century. Throw in the fact that Elon Musk — everyone’s favorite space visionary and billionaire wunderkind — was present at Trump’s Monday morning confab with the leading luminaries of American industry, and you have the potential ingredients for a truly Trumpian space odyssey taking shape sometime in the next four years. Rice University’s Baker Institute for Public Policy has released a series of policy briefs for the incoming administration — something of a tradition they’ve established for each new president. Among their briefs is a practical policy agenda for NASA, written by George W. S. Abbey, senior fellow in space policy. NASA’s budget is still hefty, but that money is only useful insofar as it is wisely spent. Abbey points out that the current Space Launch System (SLS) and Orion Multi-Purpose Crew Vehicle are projected to cost $18 billion through 2018, a sizable chunk of the agency’s budget, and that’s only a conservative estimate. Furthermore, doubts have been raised about the launch schedule, which is slated to begin in November 2018. So Abbey thinks the architecture of NASA’s future plans should be thoroughly examined and redrawn. It won’t even require a budgetary increase — just a smarter allocation of the currently available funding. For instance, he suggests scrapping the SLS program altogether. 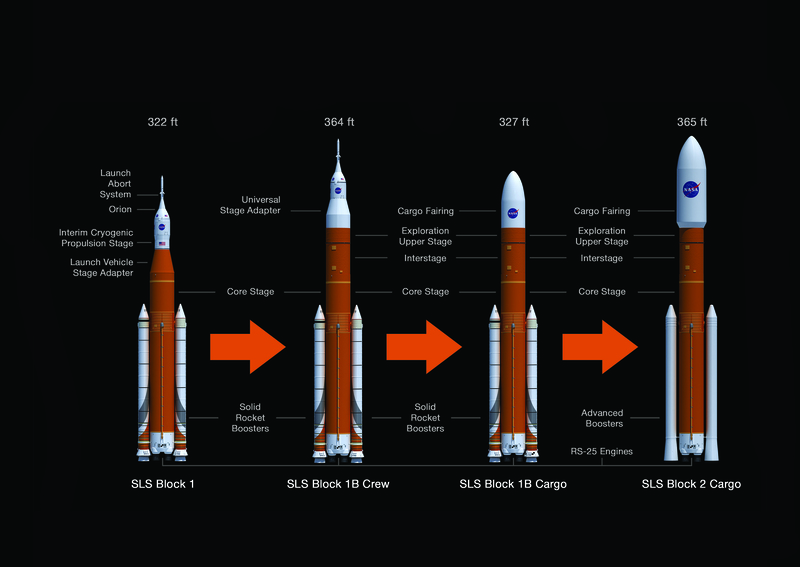 There’s too much redundancy in the heavy-lift rocket market — SpaceX is working on their Falcon Heavy, Blue Origin is busy developing the New Glenn booster, and United Launch Alliance is drawing up plans for a Vulcan rocket. He also thinks a simple scaling-up of Boeing’s already-proven and successful X-37 would create a serviceable replacement for the decommissioned shuttle fleet — a spaceplane that could be fitted for crewed flights and that also has the ability to transport matériel into space for orbital, in situ assembly. Extrapolating from the Baker Institute policy brief, a reinvigorated and more robust NASA architecture may look something like this: the complete eschewal of the bloated SLS program in favor of a concerted partnership with the various private space companies, which would each be responsible for those activities that fall within their especial competencies. SpaceX, ULA, Blue Origin, and others could work toward developing the various classes of launch vehicles to support transportation from Earth to LEO (Low Earth Orbit), and from LEO to the Moon and points beyond. Bigelow Aerospace could work on producing inflatable spacehabs for orbital habitats and capacious interplanetary transporters. Masten Space Systems would create planetary landers, etc. With all the necessary elements in play, a return to the Moon and a permanent escape from LEO could finally be contemplated. Activities on the lunar surface and in lunar orbit would form a useful learning tool for projected interplanetary voyages to Mars (whether using public or private space architectures), to asteroids and comets, or elsewhere. By putting to better use proven technologies and spacecraft designs — for instance, scaling up the X-37, as Abbey suggests, and mass producing it — NASA would have the means for constructing modular structures in orbit, much like the ISS, only now, that knowledge could be employed in building “mobile space stations” — something like the NAUTILUS-X concept in which a large, space station-like structure is fitted with an engine for interplanetary journeys. Further research into space energy systems, like the SAFE-400 and HOMER-15 fission reactors, together with investment in companies like Ad Astra, Aerojet Rocketdyne, and MSNW for novel and more efficient space propulsion systems, would begin to reap enormous dividends, allowing our space infrastructure and industrial capacity to expand into LEO and beyond. Meanwhile, freed of SLS budgetary constraints, NASA could focus on some of its most important competencies — the exploration of the Solar System through robotic spacecraft, the construction and operation of sophisticated space telescopes, and monitoring the Earth’s geophysical and climate systems through satellite constellations. This last is an important point: the continued observation of the Earth’s climate and study of the impact of climate change must not be suffered to lapse. Understanding the human impact on terrestrial systems and the interplay between the technosphere and the ecosystem is crucial to the greatness of any nation, to say nothing of mankind as a whole. There’s a great deal that can be done to reorganize and reinvigorate NASA. The Baker Institute’s recommendations are straightforward and aimed at allowing the agency to focus on what it does best — exploring space, adding to the storehouse of human knowledge, and showcasing the best of American ingenuity. What plans the Trump administration may have for NASA — if any — are still a mystery, but it would certainly behoove it, and the American people, to heed the thoughtful recommendations of the Baker Institute policy brief.